April 18, 2019 - Tempe home designed with independence in mind for adult son with autism. Take a peek inside. AZCentralA 1963 Tempe home's award-winning net-zero addition gives some independence to man with autism. July 29, 2018 - Space-based solar power: How close to reality? EarthSkyThe technology is further along than you might think for capturing solar energy in space - where the sun always shines - and beaming it to Earth. February 26, 2019 - Embedded World: e-peas addresses thermal energy harvesting Electronics WeeklyA chip optimized for energy harvesting from thermal sources in wireless sensor applications. September 7, 2018 - Focus: More Energy from Ocean Waves PhysicsA new structure concentrates water wave motion and could lead to improved techniques for harvesting this renewable energy resource. September 28, 2018 - Surrey delves into triboelectric energy harvesting Electronics WeeklyUniversity of Surrey scientists have unveiled maths that predicts the behaviour of triboelectric nanogenerators (TENGs) - devices that harvest electricity. August 23, 2018 - Time for ambient energy harvesting from RF signals Electronics WeeklyThe aim of the project is to help develop cutting-edge solutions for energy harvesting from ambient signals, whether mobile, TV or WiFi signals. November 14, 2018 - Energy-harvesting controller eliminates batteries in IoT devices eeNews EuropeRenesas has developed an energy-harvesting embedded controller that can eliminate the need to use batteries in IoT devices. February 19, 2019 - How China's Space-Bound Solar Installation Will Beam Power Down to Earth InverseResearchers in China are planning a solar farm in space, an ambitious project expected to deliver energy at six times the intensity of installations on Earth. September 28, 2018 - Polyaniline + zinc ferrite = microwave absorption Electronics WeeklyA thin coating of a composite made from zinc ferrite and polyaniline absorbs microwave radiation in Ku band, according to researchers at Anhui University. January 15, 2018 - Perfect Wi-Fi energy harvester gathers scant bounty Ars TechnicaWi-Fi energy harvester not useful but still might be future of power delivery. January 22, 2019 - Cubed energy harvester offers six-sided solution to IoT power challenge The EngineerA team at KAUST in Saudi Arabia propose an inexpensive energy harvester that could recharge IoT devices using radio waves from wireless sources. August 28, 2018 - A Wearable Energy Harvesting Device ECNmag.comA team of researchers has developed a wearable energy harvesting device that could generate energy from the swing of an arm while walking or jogging. September 6, 2018 - Boom time for energy harvesting chip market eeNews EuropeThe market for energy harvesting chips will approach $3.4 billion by 2022 according to market research firm Semico Research. 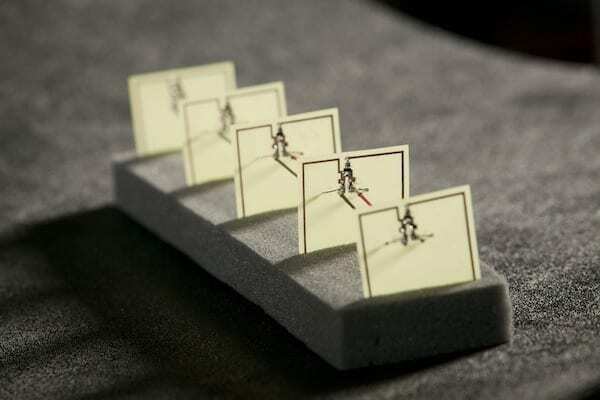 February 11, 2019 - Viewpoint: A Metamaterial for Superscattering Light PhysicsA team has engineered a subwavelength structure that features a greatly enhanced capacity to scatter microwave light. October 6, 2016 - Wireless Power Transmission of Solar Energy from Space All About CircuitsLearn about possible methods for transmitting space-harvested solar energy back to Earth. March 14, 2019 - Harvesting energy with liquid metals eeNews EuropeResearchers in the US has developed a device to harvest energy from the movement of wearable systems using deformable liquid metal. January 24, 2019 - 3D printing flexible resilient piezolelectrics Electronics WeeklyTough flexible piezoelectric materials can be 3D printed to convert movement, impact and stress to electrical energy for monitoring or energy harvesting, a.
September 20, 2013 - Leaky microwaves can power your kitchen gadgets New ScientistForget batteries, power your cooking timer and digital scales by harnessing the energy that escapes through your microwave door. December 1, 2018 - Researchers Have Artificial Skin in Robotics Game Signal MagazineA research team may one day cover robots and prosthetic devices with nanotechnology skin to provide them with a sense of touch far superior to humans. April 19, 2018 - New twist on old technique could extract electricity from low-grade heat Electronics WeeklyPyroelectricity could extract energy from heat sources below100°C, offering an alternative to thermo-electric generators (TEGs). TEGs make electricity thro. August 25, 2018 - Tellurium nanoparticles dramatically boost solar absorption Laser Focus WorldAdding nanoparticles to water enables a photothermal conversion process that improves solar energy absorption. October 5, 2016 - An Introduction to Harvesting Solar Energy from Space All About CircuitsSolar technology is a sustainable, safe, and clean way of harvesting energy—but it's only collected during daylight hours and is often at the mercy of the weather. May 15, 2018 - 1,000μF ceramic capacitor, takes on electrolytics in PSUs and harvesting Electronics WeeklyTaiyo Yuden has squeezed 1000μF into a 2.5V multi-layer ceramic capacitor only 4.5 x 3.2 x 3.2mm. April 22, 2016 - How to Harvest Terawatts of Solar Power on the Moon - The Crux Discover MagazineA handful of researchers, and more recently the Japanese corporation Shimizu, have been gearing up to develop solar power on the moon. December 4, 2018 - Body-Powered Bioshock Bandage Speeds Wound Healing Electronics360The bandage stimulates healing using electricity generated from the body's natural motions. February 26, 2019 - Embedded World: Video Interview – Lattice enables low-power AI at the Edge Electronics WeeklyWe caught up with Hussein Osman of Lattice Semiconductor to discusses implementing AI at the network edge. March 20, 2018 - How travelers to California's most popular landmarks could create electricity while they walk Los Angeles TimesBritish-based Pavegen lays down tiles that take energy generated by your footfalls and turns them into electricity. Fitbit fans, are you listening? July 18, 2018 - Glasgow flexible supercapacitor uses graphene foam Electronics WeeklyResearchers at The University of Glasgow have created a flexible supercapacitor based on graphene foam, and have combined it with a flexible solar cell to. September 28, 2018 - Imec nPERT cells 23% efficient Electronics WeeklynPERT cells feature a conversion efficiency of 23.03%, certified by Fraunhofer ISE CalLab.